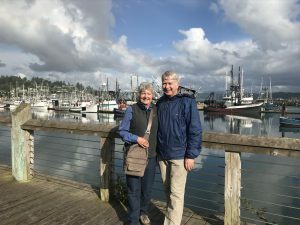 June 9 – We spent our weekend in Newport, OR as guests of old friends from Stevens Point, Kris and Al Beshire. 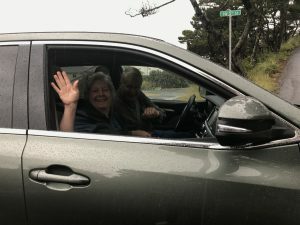 They chose Newport to retire to and send a heartfelt “Hello” to all their many friends and acquaintances back in Point! After touring the area, we understand the town’s appeal. 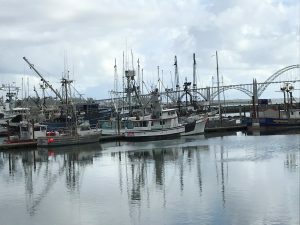 With a protected harbor, Newport has an active fishing community for both commercial and charter ocean fishing. 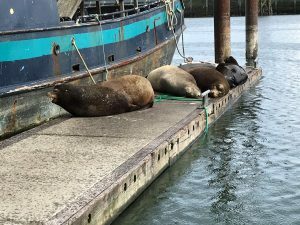 We saw charters return to port with their limits of halibut (now in season). For the commercial fishers there are five processing plants to take their catch and ship around the country. 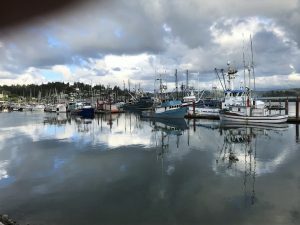 Supporting this fishing activity is an old and vibrant wharf community of seafaring shops, bars, and eateries. 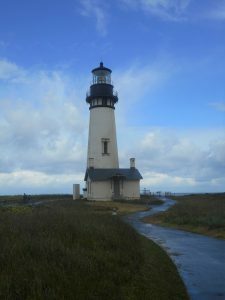 We saw light houses, various oceanside parks, a top-notch Aquarium and a NOAA education center highlighting a NOAA research center located in Newport. 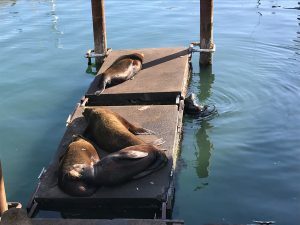 We also saw whales spouting from shore, and our new favorites, seals and sea lions lounging just about wherever they want to! 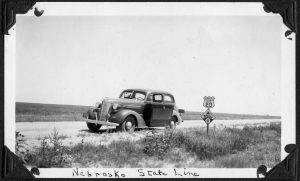 Earl and Ethel would have traveled US 101 through Newport before turning northeast to Portland. 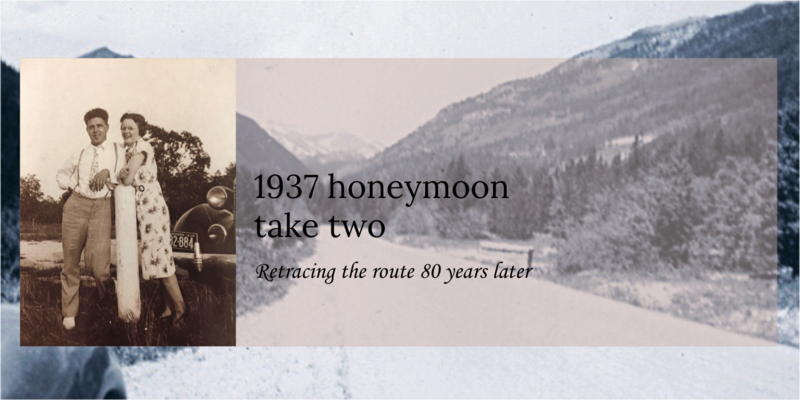 They would have crossed over the port on the Yaquina Bay Bridge which was just completed in September 1936, the last bridge completed one the Oregon Coast Highway. 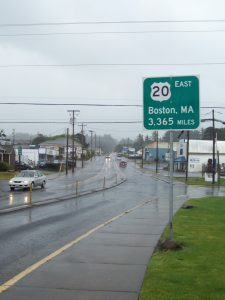 The town is also the western terminus of US Highway 20 which connects without interruption to Boston Massachusetts 3,365 miles away. We traveled US 20 from Rockford IL to Lusk, Wyoming. It felt like all 3,365 miles! Bye, and thanks for a great stop and chance to catch-up, Kris and Al! Am catching up with your progress over the past few days. We visited Newport a number of times when Beth and Keith were living in Corvallis. Caleb loved the Aquarium, and we also visited the Rogue Brewery, as I recall. It is an interesting and beautiful place. We tried a couple Roque’s!